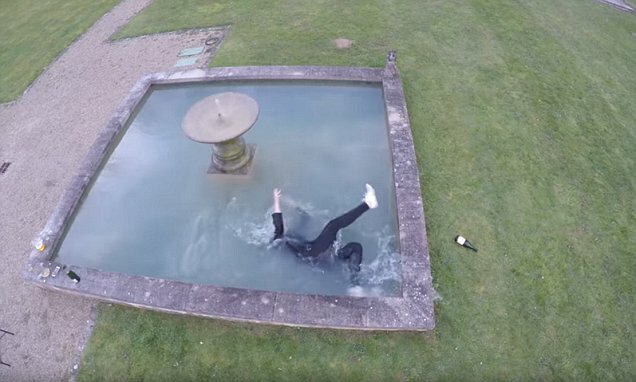 A hilarious video shows the moment a woman who is trying to attract the attention of a drone falls into a water fountain. Footage shows the woman walking backwards looking up at the drone, and sticking out her tongue. It isn't clear where the video was shot, but it appears to be winter - so not a great time to tumble into a cold fountain. As she continues to back up to make sure she can be seen, she gets closer and closer to the edge of a fountain before finally hitting the edge.